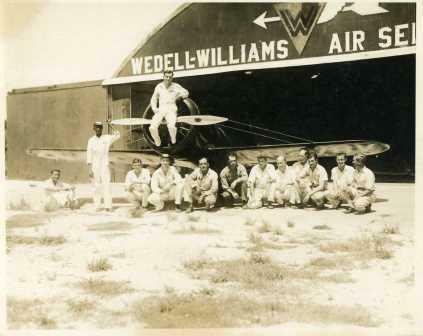 The Wedell-Williams Air Service pilots entered air races across the country from 1928 through 1935. 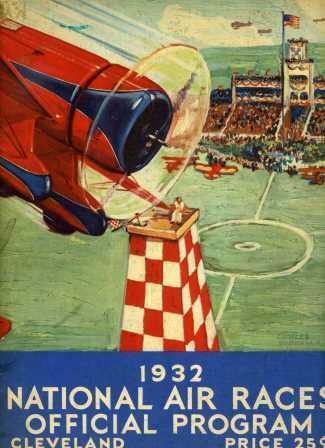 These races kept the viewers in suspense as the aircraft circled the pylons that marked the race course. The crowds usually only saw a portion of the race due to the immense size of the race course, making for short periods of excitement followed by long periods offering nothing to watch. By the 1930s, air races learned to incorporate more than just racing in order to attract larger audiences, so race coordinators would include parachute jumps, aerial stunts, and military flight demonstrations. Though he struck people as shy and reserved, Jimmie Wedell loved to show off to the crowd whenever he flew in air shows. 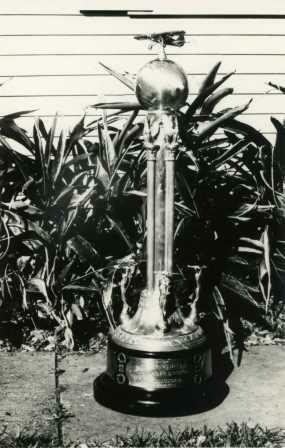 Wedell entered the 1930 races with the We-Will Jr. 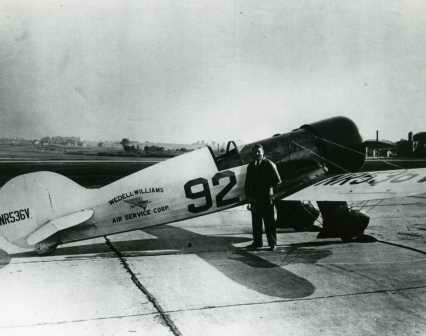 The National Air Derby put Wedell in contention with the nation’s greatest pilots, but a problem with his plane in Los Angeles as well as a stop to help a downed pilot on the way to Chicago caused Wedell to lose. Racers often coped with mechanical problems, and Wedell was fortunate never to experience a devastating crash during his races. Other pilots were not so lucky. 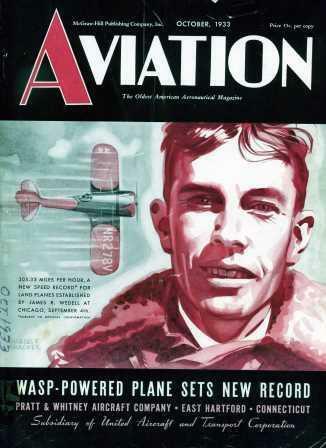 Merle Nelson died during the Pan-American Air Races in 1934 when his plane caught fire. This crash and others did not help to abate the general public's fear of flying, which was prevalent in the 1930s. 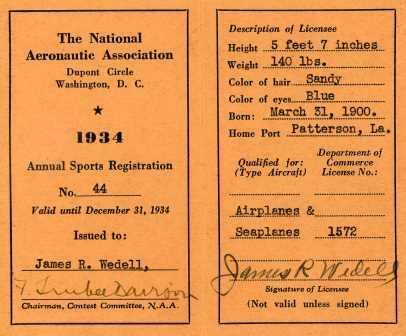 Air service and airplane manufacturer advertizing campaigns sought to educate the public about the comfort and speed of air travel to help relieve fears. Such efforts worked for many who realized that flying could be no more dangerous or uncomfortable than riding in a car or taking a train. Each year, Wedell-designed planes fared better in competition. 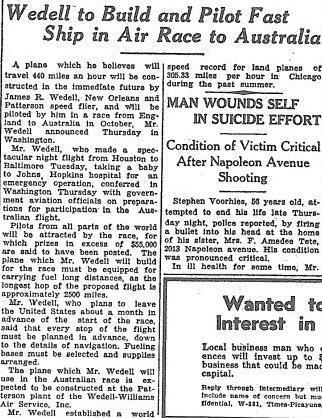 At the National Air Races held in Chicago in August 1930, Wedell won third in the men’s 25 mile free-for-all. 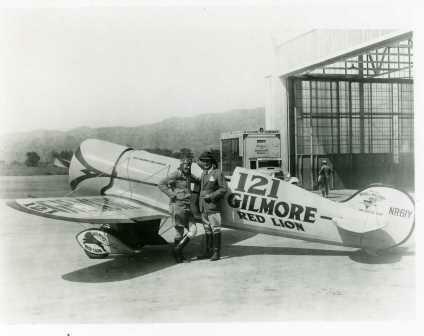 In 1932, Wedell and Jimmy Haizlip, piloting the #92, broke two of Jimmy Doolittle’s speed records. Haizlip accomplished this in the 1932 Bendix race and Wedell did the same in a transcontinental trip from Mexico City to Ottawa. The high point came in 1933, when Wedell, flying his iconic #44, broke the land speed record; later in the year he won the Thompson Trophy at the 1933 National Air Races. Though Wedell had much earlier won the trust of Harry Williams, his financial baker, these 1933 accomplishments proved that Williams made the right choice in backing Wedell’s ideas. 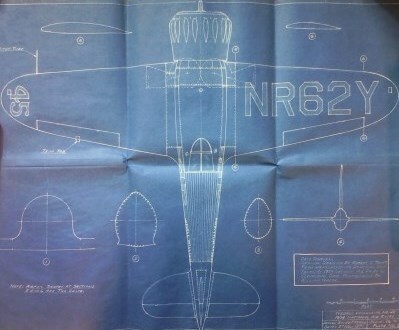 Teresa M. Thessen, “Wedell-Williams Air Service Makes Its Mark,” New Orleans Historical, accessed April 24, 2019, https://neworleanshistorical.org/items/show/689. Wedell-Williams Aviation and Cypress Sawmill Museum, the Louisiana State Museum--Patterson.